Members of the Enactus club at Brandon University (BU) have received acclaim for their food security project, Green Futures. The BU students have been named 2018 Scotiabank EcoLiving Green Challenge Regional Champions for their work on the community garden project. They shared the honour with Enactus University of British Columbia, which was recognized for its Project Roots initiative. 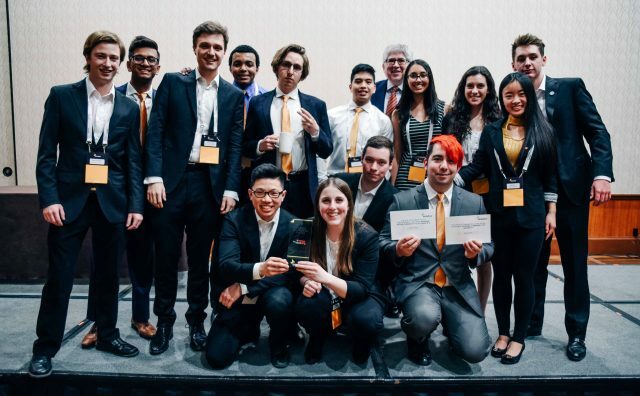 Both groups were lauded after presenting to the Enactus Canada Regional Exhibition – Western Canada on Friday in Calgary. They will now be entered in the national competition in May in Toronto. For more information about the projects as the Enactus Canada Regional Exhibition, please visit the Enactus website.